Celebration of Nyepi in Bali in 2015 will take place on March 21, 2015. Nyepi Day is a day to calm down and the universe of human activity. Nyepi is a new year based on the Balinese calendar. Nyepi Day 2015 has a sequence of activities and events are the same as in the previous year Nyepi. There are many sequences of activities in celebration of Nyepi in Bali procession. All that man's land to restore the balance of human life and the universe, so that in the new atmosphere of nature and human life back into balance and harmony. The most awaited activities and favored by young people in Bali during Nyepi Day peraan is vestifal ogoh-ogoh. Ogoh-ogoh festival 2015 in Bali will take place on March 20, 2015. There is no prohibition to the government in order not to create and ogoh-ogoh parade. However telha was heard in several villages in Bali, the local government banned the organization of fesvital ogoh-ogoh. 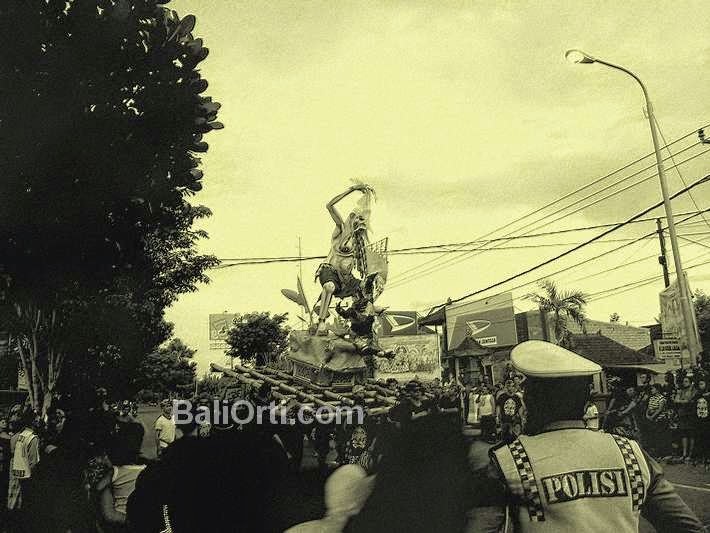 Not only in Bali, celebrates Nyepi 2015 are also performed by Hindus in Bali who live outside. Nyepi is a culture and a new year belongs to the Balinese. And become annual event to give the impression that the meaning and for the people of Bali. Every year, year after year, the celebration of Nyepi in Bali developments merrier. Nyepi has become a tradition and culture of fun for the people of Bali. It looks at the more festive and more lackluster activity Nyepi in Bali. In 2015, it is estimated there will be thousands of ogoh-ogoh in Bali that will be displayed and taken around the village in each county and city. Nyepi Day 2015 will be a day full of tranquility and free from noise. Because on the day of Nyepi, everyone should be in the house, not bole traveling, should not be noisy, should not be partying, should not turn on the vehicle, must not light a fire, should not undertake any activity that may disturb the peace and silence of the environment. When Nyepi Day in Bali, Bali will be pitch black at night. There is no light from the light and fire. When Nyepi Day also will feel calm and quiet, because no one should get out of the house, no one should speak out kesar until it by others. Nyepi Day in Bali has been recognized by the world community as an activity that deserves to be imitated. Because all of the meaning contained in the celebration of Nyepi can save the world from destruction. Can eliminate pollution and make the air cleaner. Can relieve stress for everyone is too busy with work. Nyepi Day also force people to be calm and more attention to themselves and the environment.